"First Milestone Report on the Fundamentals of Robotic Surgery: Consensus Conference on Outcomes Measures", (Satava, Smith, Patel), Joint Project Florida Hospital and MIRA, December 2011. "Second Milestone Report on the Fundamentals of Robotic Surgery: Consensus Conference on Curriculum", (Satava, Smith, Patel), Joint Project Florida Hospital and MIRA, April 2012. "Third Milestone Report on the Fundamentals of Robotic Surgery: Consensus Conference on Validation Design", (Satava, Smith, Patel), Joint Project Florida Hospital and MIRA, November 2012. "Surgical Community Report on the Fundamentals of Robotic Surgery: Presented at American College of Surgeons AEI Meeting", (Satava, Smith, Patel), Joint Project Florida Hospital and MIRA, March 2012. "Fundamentals of Robotic Surgery: Team Training Script", (Levy & USF CAMLS), Joint Project Florida Hospital and MIRA, 2014. "A History of Serious Games", Tutorial for 2009 I/ITSEC Conference. (PPT 40MB) (PDF 8MB). "A History of Games: From Dice to Computers", Tutorial for 2009 GameTech Conference. (PPT 77MB). "Investigating the Disruptive Effect of Computer Game Technologies on Medical Education and Training", Doctoral Dissertation, August, 2008. 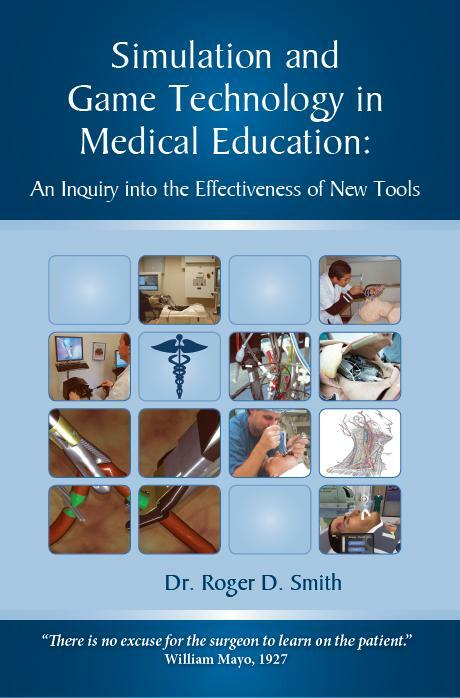 Now available as the book Simulation & Game Technology in Medical Education. Military Simulation Techniques & Technology, Seminar Notebook, 1998-2008. Mastering Simulation: The Past, Present & Future, Seminar Notebook, 2000-2008. Principles of Modeling, Seminar Notebook, 2001-2008. Simulation Based Acquisition, Seminar Notebook, 2002-2008. Interactive Simulation Course (EIN5255), University of Central Florida, Graduate School, Fall 2002. Simulation Support to Executive Decision Making, Tutorial for the 2002 International Training Equipment Conference, Lille, France, April, 2002. The Bricks and Mortar of a Distributed, Interactive, Virtual World, 1-Day Tutorial for the 2002 Game Developers Conference, March, 2002. Cutting Edge Techniques for Modeling and Simulation, 1-Day Tutorial for the Game Developers Conference, 1999, 2000, 2001. Fundamentals of Modeling and Simulation , 1-Day Tutorial for the SPIE Aerosense Conference, March, 2000, 2001, 2002. Proceedings of the 1998 International Conference on Web-Based Modeling and Simulation, Editor, January, 1998. Proceedings of the 1997 Electronic Conference on Analytical Military Simulation, Editor, August, 1997. Proceedings of the 1996 Electronic Conference on Interoperability in Training Simulation, Editor, June, 1996. Proceedings of the 1995 Electronic Conference on Scalability in Training Simulation, Editor, June, 1995. Proceedings of the 1994 Electronic Conference on Constructive Training Simulation, Editor, May, 1994. "Virtual Interface Methodology for Connecting Constructive and Virtual Level Simulations", Doctoral Dissertation, September, 1994. 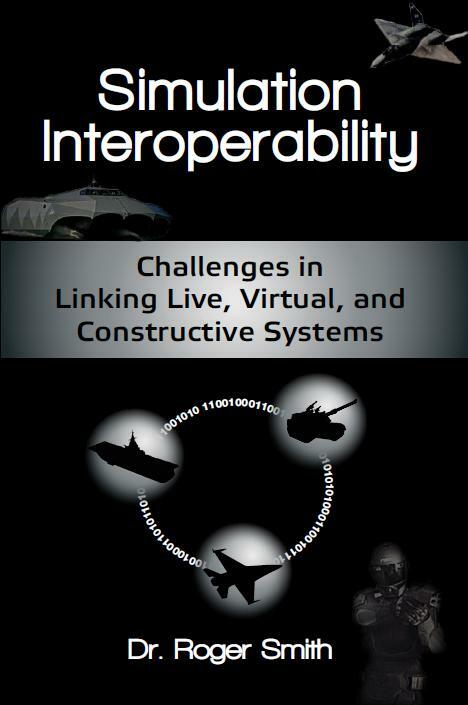 Now available as the book Simulation Interoperability. "On the Value of a Taxonomy in Modeling", Ontology, Epistemology, and Teleology of Modeling and Simulation: Philosophical Foundations for Intelligent M&S Applications, Springer-Verlag, 2012. "Military Simulation Using Virtual Worlds", Oxford Handbook of Virtuality, Oxford University Press, 2012. "Serious Games, Virtual Worlds, and Interactive Digital Worlds", Engineering Principles of Combat Modeling and Distributed Simulation, John Wiley & Sons, 2011. "Does Game Technology Matter? ", Forward for Serious Game Design and Development: Technologies for Training and Learning, Information Science Reference, 2009. "The Future of Virtual Environment Training in the Army", Handbook of Virtual Environments for Training and Education, Greenwood Publishing Group, 2008. "Simulation", Concise Encyclopedia of Computer Science, John Wiley & Sons, September 2004. "Simulation", Encyclopedia of Computer Science, Groves Dictionaries, July 2000. "Pardon the Constant Interruption", Research Technology Management, Jan-Feb 2012. "Einstein and Picasso in R&D", Research Technology Management, Sept-Oct 2011. "The Field Grade CTO", Research Technology Management, May-June 2011. "Productive Factory Towns", Research Technology Management, March-April 2011. "Computing Beyond the Firewall", Research Technology Management, May-June 2010. "Google Means Every", Research Technology Management, January-February 2010. "Computing in the Cloud", Research Technology Management, September-October 2009. "R&D in the Financial Crisis", Research Technology Management, May-June 2009. "Supercomputing on Your Desktop", Research Technology Management, January-February 2009. "Where do they find the time? ", Research Technology Management, September-October 2008. 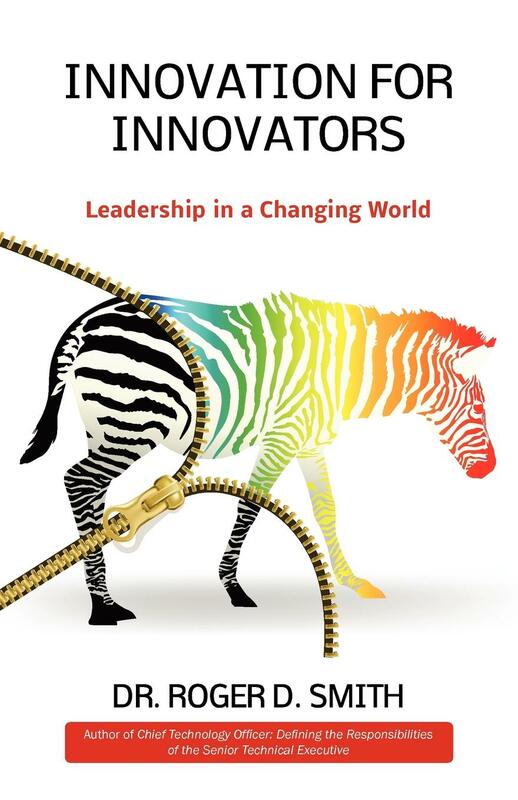 "The Evolution of Innovation", Research Technology Management, May-June 2008. "Innovation for Trainers", Keynote Presentation, Training 2013 Conference, February 2013. "Fundamentals of Robotic Surgery: Summary of the Ongoing Project", (Satava, Smith, Patel), SLS/SRS/MIRA Minimally Invasive Surgery Week, September 2012. "Simulation & Surgical Training: Fundamentals of Robotic Surgery", A Multi-Specialty Review of Advances in Minimally Invasive and Robotic Surgery, June 2012. "Simulation Surgeon, Soldier, Spy", ACM/SCS SpringSim Multiconference (Keynote Presentation), March 2012. "Overview of the First Consensus Conference on the Fundamentals of Robotic Surgery: Outcome Measures", (Satava, Smith, Patel), American College of Surgeons - Accredited Education Institutes, March 2012. "Robotic Surgery and Surgical Simulation", International Council on Systems Engineering (Orlando Chapter), February 2012. "Simulation in Surgical Education", American College of Healthcare Executives, December 2011. "Nicholson Center: Robotic and Telesurgery Research", National Center for Simulation Quarterly Luncheon, October 2011. "Medical Simulation Standards: What can we learn from the DoD? ", Medical Technology, Training, and Treatment Conference, May 2011. "Simulation and Game Technology in Medical Education", IDEAS Workshop, Harvard Medical School, April 2011. "Robotic Surgery and Surgical Simulation", Guest Lecture, Old Dominion University, April 2011. "Surgical Simulation Research Initiatives", IITSEC UCF Workshop, December 2010. "da Vinci Surgical Robot", IITSEC techPATH Teachers Workshop, November 2010. "Mobile Device Unique", Army Mobile Apps Workshop, June 2010. "Simulation in the Cloud", ITEC London, March 2010. "Science and Technology Management in Government Acquisition", DAU Science and Technology Management Course, March 2010. "Translating Military Simulation to Healthcare Simulation", American College of Surgeons Accredited Education Institutes, March 2010. "Multinational Working Group on Virtual Worlds", Defense GameTech Users Conference, March 2010. "Government Cloud Computing Applications", HPTi Technology Forum, March 2010. "Games and Virtual Worlds in Systems Engineering", Georgia Tech ASE 6003, February 2010. "Medical Simulation: Another Scientific Revolution", AFCEA TechNet Conference, January 2010. "Deploying HPC for Interactive Simulation", Supercomputing Conference, November 2009. 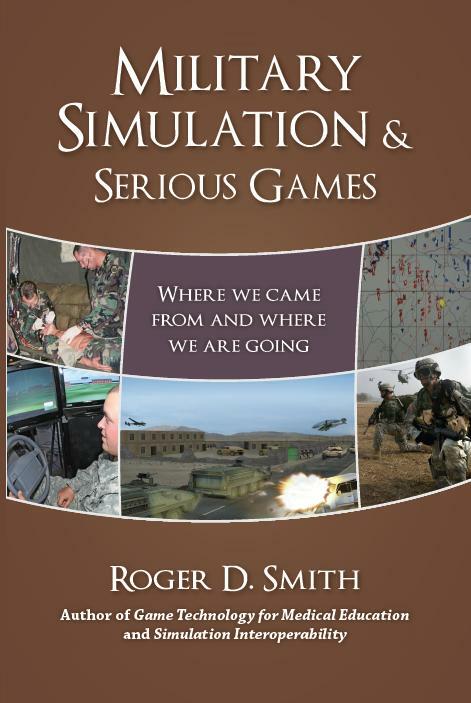 "War Games and Simulations: An Interview with the U.S. Army's Roger Smith", Experiential eLearning, June 2009. "Embracing Game Technology for Medical Education", Medical Technology, Training, and Treatment Conference, Orlando, May 2009. "Effective Serious Games", International Training and Education Conference, Brussels, Belgium, May 2009. "Interview on Serious Games", Training and Simulation Journal, April 2009. "Funding Landscape for Gaming Related Research", Foundations of Digital Games Conference, April 2009. "STEM Education in the 21st Century", UCF Engineering Industry Day, April 2009. "Games: The Virtual Frontier", Canadian Training Technology Symposium, April 2009. "Parallel Worlds and Beyond: Using Cloud Connected Supercomputing to Create New Businesses", Non-Conventional Computing Conference, March 2009. "Operational HPC for Interactive Training Applications", HPCMO Forces Modeling and Simulation Colloquium, March 2009. "Evolving Research, Development and Acquisition Strategies in the Global War on Terror", NDIA Defense Forum, March 2009. "Worlds of Promise", Defense GameTech Users Conference, March 2009. "Tutorial: HPC and Interactive Simulation", AFCEA TechNet Orlando, January 2009. "Investigating the Disruptive Effect of Computer Game Technologies on Medical Education and Training", International Meeting on Simulation in Healthcare, January 2009. "Games: The Virtual Frontier", National Research Council, Committee on Modeling, Simulation, and Games, January 2009. "Deploying HPC for Interactive Simulation", Supercomputing Conference, November 2008. "HPC for Interactive Training Simulation", Army PEO-STRI Engineering Town Hall, October 2008. "Simulation in the 21st Century", MODSIM World Conference, September 2008. "Video Games in Military Training: An Interview", Escapist Magazine (UK), September 2008. "Web 2.0 and Combat Casualty Care", Advanced Technology Applications for Combat Casualty Care, August 2008. "Revolution of the Information Viewport", Joint ADL CoLab Implementation Fest, August 2008. "Interactive Simulation with High Performance Computers", PEO-C3T Collaboration Meeting, July 2008. "Simulation 2.0: Revolutionary Changes in Military Training and Beyond", Government Executive Webinar, June 2008. "Delivering Simulation-based Training to the Soldier's Desktop", 2008 ITEC Conference, June 2008. "Simulation as an IT Service", 2008 DAU Innovations in eLearning Conference, June 2008. "Technology for Game Developers", 2008 AFCEA Defense GameTech Conference, May 2008. "Interactive Simulation & Gaming", 2008 National Junior Science and Humanities Symposium, May 2008. "Future Mapping: Disruptive Technologies In Training Simulation", 2008 Future Mapping Workshops, May 2008. "I Want a Job in Military Simulation", Full Sail Simulation Club, May 2008. "New Technology for M&S: Web 2.0, IT Services, HPC, Games", 2008 OSD/ROK Defense M&S Workshop, Korean Institute for Defense Analyses, April 2008. "OneSAF: Next Generation Wargame Model", 2008 OSD/ROK Defense M&S Workshop, Korean Institute for Defense Analyses, April 2008. "The Role of the CTO in a Growing Organization", Federal CTO Workshop, Corporate Executive Board, February 2008. "Game Technologies for Serious Games Applications", 2008 Game Developers Conference, February 2008. "System Dynamics", Georgia Tech Modeling and Simulation Series, February 2008. "Introduction to Gaming", Georgia Tech Modeling and Simulation Series, February 2008. "Huge Opportunities in Serious Games", UCF Florida Interactive Entertainment Academy, October 2007. "High Performance Computing for Interactive Training Simulation", AFCEA Central Florida Chapter, Orlando, FL, September 2007. "Taking Game Technology Seriously", GAMEON North America Conference, Gainesville, FL, September 2007. "Serving 1,000,000 Global Customers: How can we offer training anywhere, anytime? ", ADL Implementation Fest, Orlando, FL, August 2007. "Innovation Alignment to Maximize Market Penetration", 13th Annual Innovation Immersion Conference, Phoenix, AZ, October 2007. "Leveraging Game Technology: Enabling the Long Tail", Defense Modeling and Simulation Conference, May 2007. "Over the Horizon: The Impact of 3D Gaming, MMOG, and Mobile Technologies on Politics and Social Order", Web to the Street Workshop, April 2007. "The Digital Long Tail of Military Simulation Systems", Serious Games: Tech Trends and Applications (MITRE Workshop), April 2007. "Convergence of Military Simulation and Computer Game Technologies", Spring Simulation Multiconference, March 2007. "Evolution of ISR Simulation", Spring Simulation Interoperability Workshop, March 2007. "3 UP - 3 DOWN: Military Serious Games", Game Developers Conference SGS, March 2007. "Army Training with Distributed Networked Systems", Navy Undersea Distributed Networked Systems Conference, February 2007. "Game Innovation V: Technology Roadmap for Serious Military Games", Serious Games Summit, October 2006. "Cost Estimation for SCORM Course Development", USDLA Training 2006 Conference, March, 2006. "Simulation Innovation IV: The Disruptive Power of Game Technology", G.A.M.E.S. Synergy Summit, January, 2006. "Using simulators to measure communication latency effects in robotic telesurgery", Interservice/Indsutry Training, Simulation, and Education Conference, December 2012. "Waiting for the Dot.Sim Boom", Training and Simulation Journal, April 2009. In Military Simulation & Serious Games. "Five Forces Driving Game Technology Adoption", Interservice/Indsutry Training, Simulation, and Education Conference, December 2008. In Military Simulation & Serious Games. "Aligning Competencies, Capabilities and Resources", Research Technology Management, September-October 2008. In Chief Technology Officer. "The Long History of Gaming in Military Training", Journal of Simulation and Gaming, 40th Anniversary Issue, September 2008. In Military Simulation & Serious Games. "Web 2.0 and Warfighter Training", 2008 European Simulation Interoperability Workshop, June 2008. "Next Generation Technology for Simulation and Training", NATO's Nations and Partners for Peace, Special Issue on Simulation and Training, December 2007. "Applying Real Options Theories to Research Project Investments", Research Paper, University of Maryland. In Chief Technology Officer. 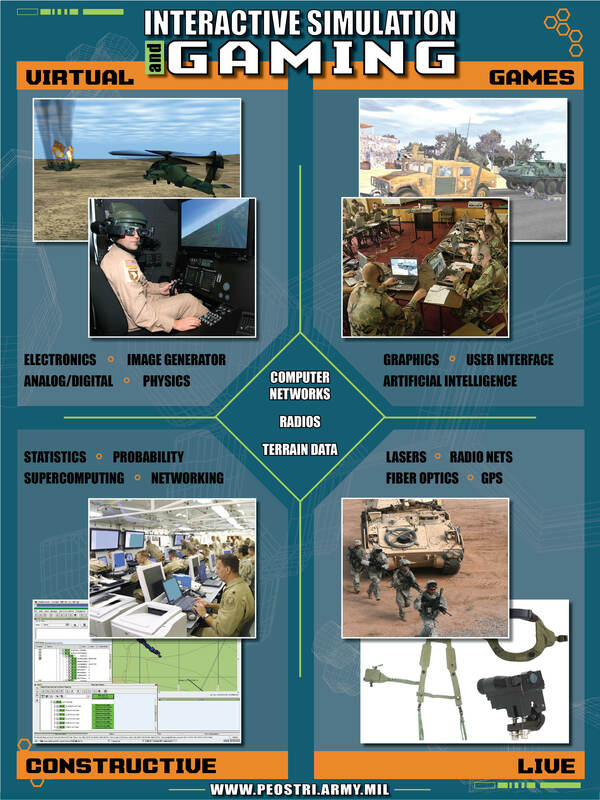 "The Digital Long Tail in Military Simulation Systems", IEEE Computer (not published). In Military Simulation & Serious Games. "Understanding and Acquiring Technology Assets for Global Competition", Technovation: The International Journal of Technological Innovation, Entrepreneurship and Technology Management, 2007. In Chief Technology Officer. "Response to Michael Maccoby: Developing Research/Technology Leaders", Research Technology Management, May-June 2007. "How the U.S. Army Got Game ", Strategy and Innovation, 2007. "The Disruptive Potential of Game Technologies: Lessons Learned from its Impact on the Military Simulation Industry", Research Technology Management, March-April 2007. "Competitive Impact of Game Technologies on Five Industry Segments", University of Maryland, 2007. In Military Simulation & Serious Games. "Game Impact Theory: The Five Forces that are Driving the Adoption of Game Technologies within Multiple Established Industries", Games And Society, 2007. In Military Simulation & Serious Games. "Technology Disruption in the Simulation Industry", Journal of Defense Modeling and Simulation, January 2007. In Military Simulation & Serious Games. "5 Patterns of the Chief Technology Officer", Research Technology Management, March-April 2007. In Chief Technology Officer. "Modeling R&D Investment Levels Based on Corporate Financial Data", Research Technology Management, Nov-Dec 2006. In Chief Technology Officer. "RFID: A Brief Technology Analysis", IDS Packaging, February 2006. "COCOMO-SCORM: Interactive Courseware Project Cost Modeling", International Council on Systems Engineering Conference, July, 2006. "Strategic Responsibilities of the Chief Technology Officer", Korean Industrial Research Institute Technology Management Journal, October 2003. In Chief Technology Officer. "The Chief Technology Officer: Strategic Responsibilities and Relationships", Research Technology Management, July-August 2003. In Chief Technology Officer. "Modeling and Simulation Adds Insight on Terrorism", AFCEA Signal Magazine, December 2001. "Simulating Information Warfare", SMi High Level Architecture Conference, London, England, November 2001. "A Day in the Life of Roger Smith", ACM Crossroads Student Magazine, January 2001. "The Double Helix: Simulation and Gaming", Keynote Presentation, GAME-ON: Simulation and AI in Computer Games Conference, November 2000. "Simulated Information Warfare Using the HLA Management Object Model", Fall 2000 Simulation Interoperability Workshop, September 2000. "Distributed Simulation Beyond the Military", Keynote Presentation, 2000 Distributed Simulation and Real-time Applications Workshop, August, 2000. "Introduction to Military Simulation Techniques", Bulgarian Journal of Information and Security, 1999. "Information Operations in Training Simulation ", Spring 2000 Simulation Interoperability Workshop, March 2000. "Synchronizing Distributed Virtual Worlds", eMatter, January, 2000. In Military Simulation & Serious Games. "Simulation: The Engine Behind the Virtual World", eMatter, December, 1999. In Military Simulation & Serious Games. "Strategic Directions in Distributed Simulation", Proceedings of the 1999 Winter Simulation Conference. December, 1999. In Military Simulation & Serious Games. "Guidelines for the Design of Military Simulations", 19th Georgia Tech Course on Modeling, Simulation, and Gaming of Warfare, October, 1999. "Simulation 101", SISO Simulation Technology Magazine. June, 1999. "Fundamental Principles of Modeling and Simulation", Proceedings the 1999 Game Developer's Conference, March, 1999. "Book Review: Parallel and Distributed Simulation Systems", ACM SIGSIM Web-based Newsletter, February, 2000. "Book Review: Handbook of Simulation", ACM SIGSIM Web-based Newsletter, March, 1999. "Essential Techniques for Military Modeling and Simulation", Proceedings of the 1998 Winter Simulation Conference, December, 1998. "Introduction to Military Training Simulation: A Guide for Discrete Event Simulationists", co-authored with Ernest Page, Proceedings of the 1998 Winter Simulation Conference, December, 1998. "Web-Based Education, Training, and Decision Support", 1998 International EUROSIM Conference, April, 1998. "Military Simulation" Column in Simulation Digest, 1997 issues. "Disaggregation in Support of Intelligence Training", 19th Inter-Service/Industry Training, Simulation, and Education Conference (I/ITSEC) Proceedings, December, 1997. "Disaggregation Layers for Heterogeneous Simulation Interoperability". Unpublished. 1997. "JSIMS Intelligence Simulations", 18th Georgia Tech Course on Modeling, Simulation, and Gaming of Wargare, October, 1997. "Bridging the Gap Between Simulation and Combat Computers", Proceedings of the 1996 Winter Simulation Conference, December, 1996. "IN: The N Dimensions of Interoperability", 18th Inter-Service/Industry Training, Simulation, and Education Conference (I/ITSEC) Proceedings, December, 1996. In Military Simulation & Serious Games. "Elecsim and HLA", Presentation to the 12th DMSO Architecture Management Group, June, 1996. "Globally Distributed Education", Submitted to IEEE Computer, December, 1995. "SIGSIM Program Overview", ACM Computing Surveys, December, 1995. "TACSIM Disaggregation Techniques", Presentation to DMSO HLA Aggregation/Disaggregation Workshop, November, 1995. "Military Training via Wargaming Simulation", IEEE Potentials, October/November, 1995. "The Conflict Between Heterogeneous Simulation and Interoperability", 17th Inter-Service/Industry Training, Simulation, and Education Conference (I/ITSEC) Proceedings, November, 1995. "Distributed Professional Education and the Internet", 17th Inter-Service/Industry Training, Simulation, and Education Conference (I/ITSEC) Proceedings, November, 1995. "MI-SAF: Simulated Intelligence Data Fusion for Military Training", 1995 Southeastern Simulation Conference Proceedings, October, 1995. "A Fully Integrated Intelligence Simulation Architecture", 21st Century Intelligence Technology Symposium, January, 1995. "After Action Review in Intelligence Simulations", 1994 Winter Simulation Conference Proceedings, November, 1994. "TACSIM: Intelligence Training for Tomorrow's Battlefield", Military Intelligence, Oct-Dec 1994. "Internet as a Professional Conferencing Arena" , Proceedings of Internet World'94, April, 1994. "The Tactical Simulation: The Army's Leading Intelligence Collection and Dissemination Model", Phalanx, March, 1994. "Current Military Simulations and the Integration of Virtual Reality Technologies", Virtual Reality World, March, 1994. "Analytical Computer Simulation of a Complete Battlefield Environment", Simulation, January, 1992. "Greasing the Axles of a New Simulation", Unpublishable, 1990. "Ode to a Sub", 1995.